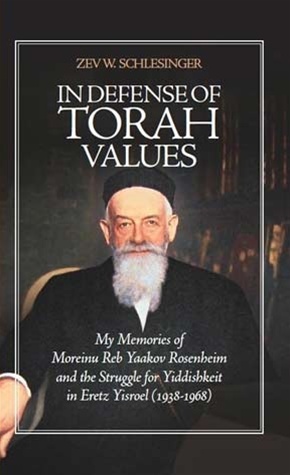 Gedolei Yisrael conferred upon him the title "Moreinu"; he escaped the horrific claws of the Nazis and arrived in Eretz Yisrael where he bolstered Torah and fought tirelessly to strengthen ruchniyus. Reb Yaakov Rosenheim was a unifying force, working to knit together all the threads of Klal Yisrael into an inspiring, beautiful whole. This beautiful, uplifting book, written by his grandson, tells the captivating story of Reb Yaakov's unique biography and paints a vivid picture of a decisive era for Torah-true Jewry, through trying times and fierce winds of opposition.